Smile Nigeria is an internet service provider and a leading 4G LTE mobile broadband provider in Nigeria and other African countries. Smile broadband offers both internet and voice services to its customers in several African countries in Africa. In Nigeria, it is available in Lagos, Abuja, Kaduna, Port Harcourt, Onitsha, Asaba, Benin City and Ibadan with plans to roll out its services in other major cities across Nigeria soonest. 1. The Chief Executive Officer of Smile Telecoms Group is Irene Charnley, a social entrepreneur and widely respected telecoms visionary. 2. Smile Telecoms is the first operator in West Africa to offer its customers Voice over LTE services. 3. 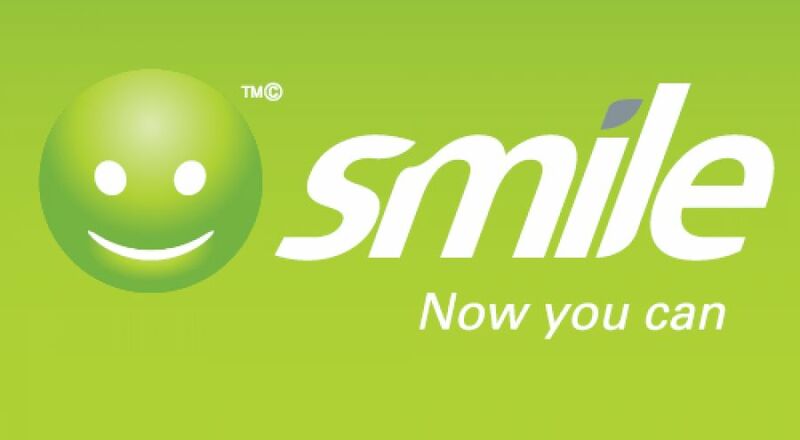 Smile owns and operates mobile 4G LTE broadband networks in Nigeria, Tanzania, Uganda and will soon launch mobile broadband services in the Democratic Republic of the Congo (DRC). 4. In May 2013, Smile introduced Africa’s first 4G LTE mobile broadband service in Tanzania. 5. Smile launched the first 4G LTE network in West Africa in Nigeria in 2014 and it’s available in eight cities. 6. The company offers a variety of internet data bundles tailored to suit every type of user. 7. Smile has a range of 4G LTE devices at great prices and speeds. 8. Its SmileVoice is a free mobile app that enables customers with any Android or Apple iPhone device to make SuperClear voice calls over Smile’s 4G LTE networks. 9. Godfrey Efe Uhrobo is the Managing Director of Smile Nigeria. 10. Smile Communications aims at becoming the broadband provider of choice for SuperFast mobile broadband and SuperClear voice services in all its markets. 1. Smile Wireless (Wi-Fi) Router: It can be purchased at the price of ₦23,000 and it includes One Wi­Fi router, one SIM plus 10GB data. 2. Smile MiFi Router: This includes One MiFi router, one SIM and 5GB data. It costs ₦5,000 and you can buy it together with an unlimited data bundle which costs about ₦19,800 making the total cost 24,800 Naira or with a 5 GB Anytime data + 10 GB Night and Weekend data for 30 days at a total cost of 12,500 Naira. 3. Smile SIM Only: This comes in handy if you already have a universal MiFi or Wi­Fi. All you have to do is insert the Sim into your device. The SIM Only Starter Pack cost only ₦2,300 which comes with one Sim and 2GB complementary data. 4. SmileVoice: This is Smile’s internet telephone service which enables you to call any number in the world with a VoLTE (Voice over LTE) phone and your Smile SIM card. With SmileVoice, customers have the ability to use their data bundles to make voice, video calls and send SMS to any number locally and internationally. All SmileVoice calls are charged in MBs to an active data bundle and equated to a local per second call rate.